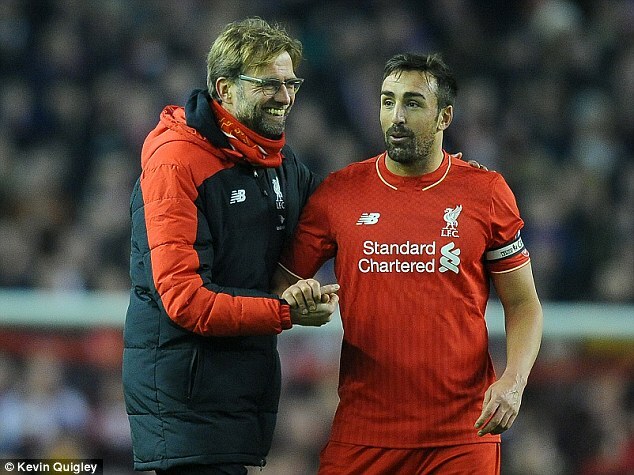 Former Liverpool and Newcastle defender Jose Enrique said he was ‘so happy’ after being given the all-clear following treatment for a brain tumour. 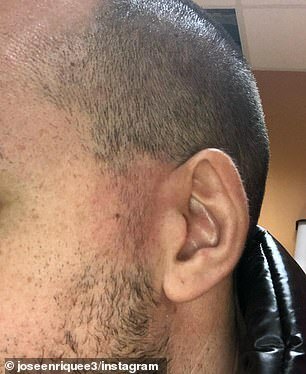 Th 33-year-old was diagnosed with a rare chordoma around the nerves behind his left eye last summer. 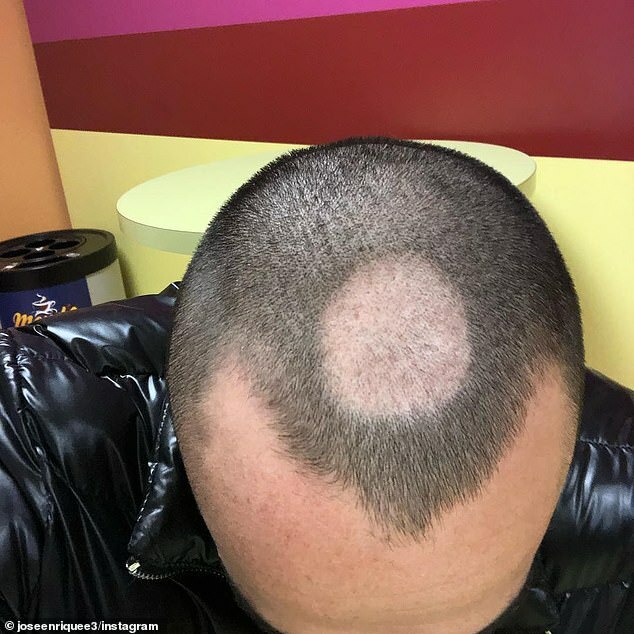 In an Instagram video he said: ‘Hello guys, I just had wonderful news today. 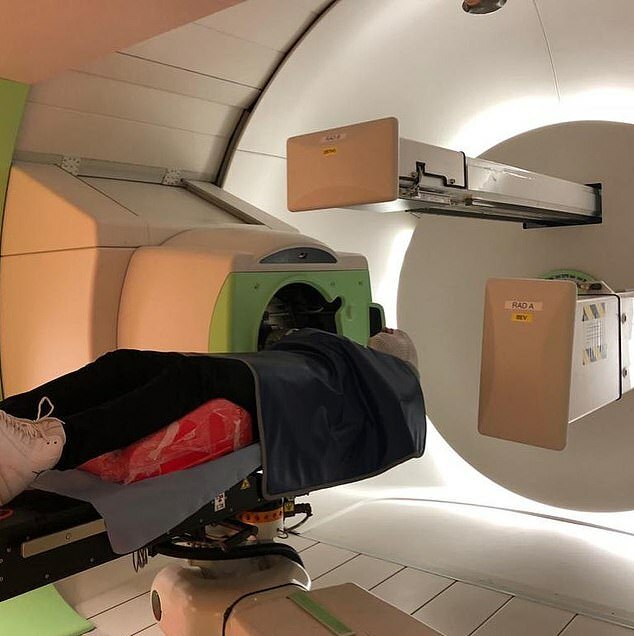 I just got back the report from the MRI I had just a week-and-a-half ago,’ he said. ‘Remember when I posted the last picture of me and Amy putting the finger like that [thumbs up]? I just wanted to let you all know because the support has been amazing. It’s all clear, it’s all perfect. 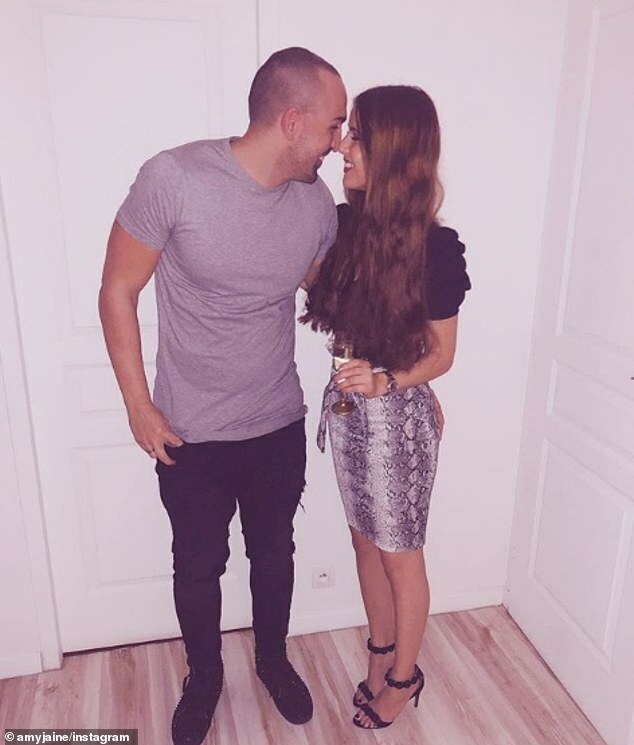 ‘Obviously when I received the news me and Amy were together and even the dog could understand it as well, and we were so happy about it and I can just look forward now. 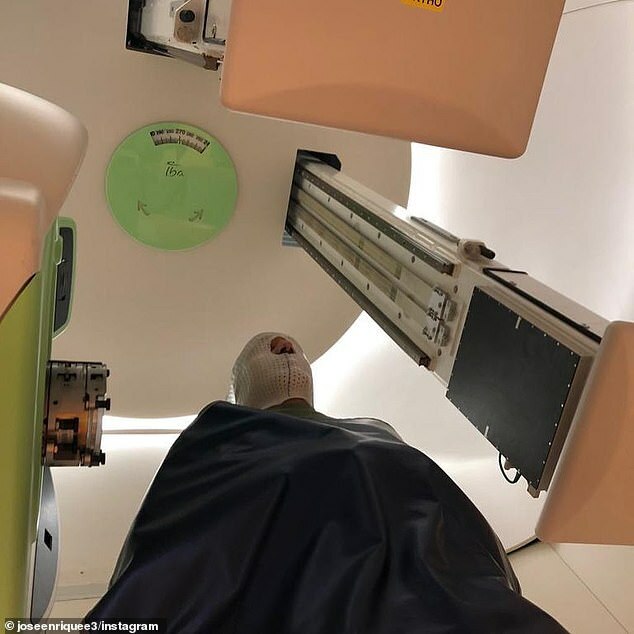 The retired left back posted photos of him receiving proton therapy, which is used to help destroy cancerous cells. 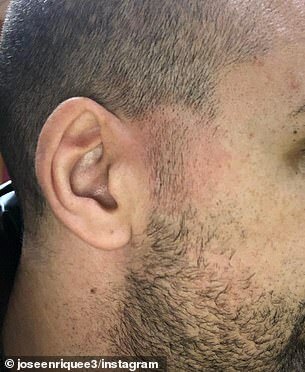 He also showed off a bald spot on the top of his head and red marks near his ears after undergoing the specialist treatment for the final time in Paris on Thursday. 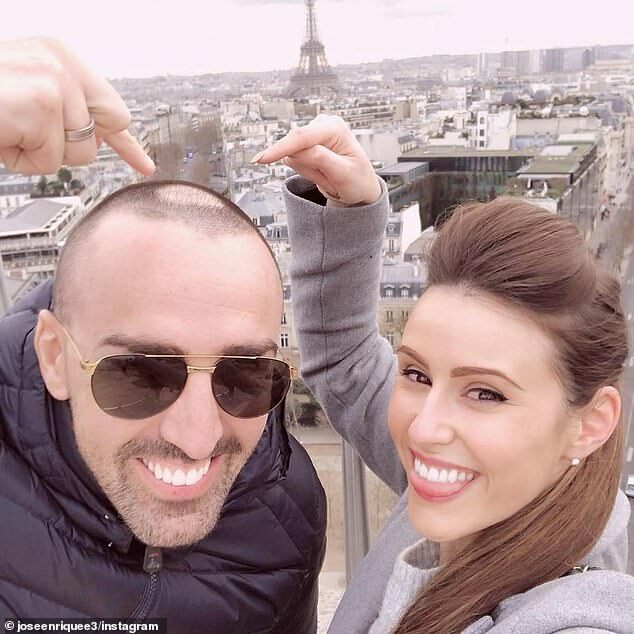 In one image Enrique can be seen smiling and pointing to his head with partner Amy in front of the Eiffel Tower, while another picture shows him alongside a fellow patient. 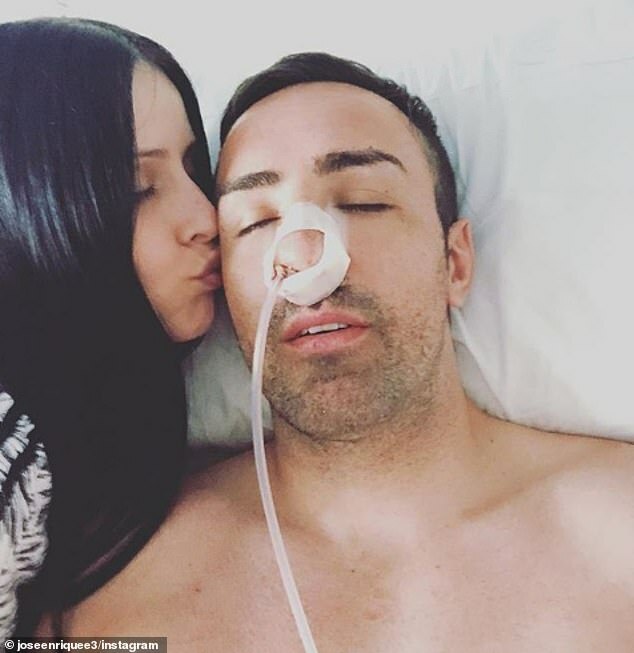 The former Villarreal defender posted an emotional message alongside the images, describing the last two months as ‘difficult’ while urging other people suffering from illness to ‘fight and go through it’.